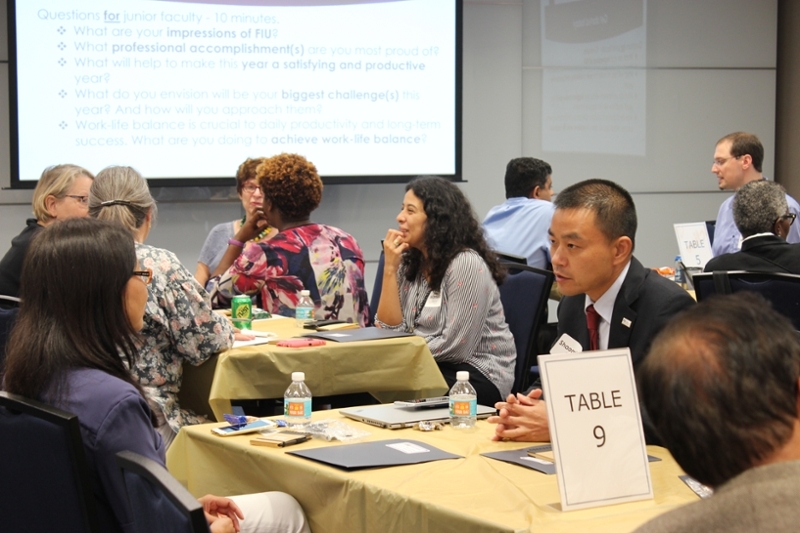 Florida International University is committed to ensuring that our faculty members are in the best possible position to succeed professionally. The faculty mentor program supports this commitment. 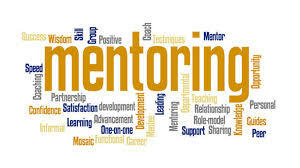 Mentors and mentees are matched based on research interests and disciplinary demands, and come from different departments in the respective colleges. Typically, pairs are matched at the beginning of each academic year, and a variety of workshops and events are held to help both parties achieve a successful relationship. The Faculty Mentor Program was established to address some of the needs and concerns that faculty expressed in the 2010 Faculty Climate survey. Specifically, CASE faculty reported wanting more consistent opportunities for career advice and mentorship. The CASE administration responded to this need and continues to expand the program to include other colleges at FIU. 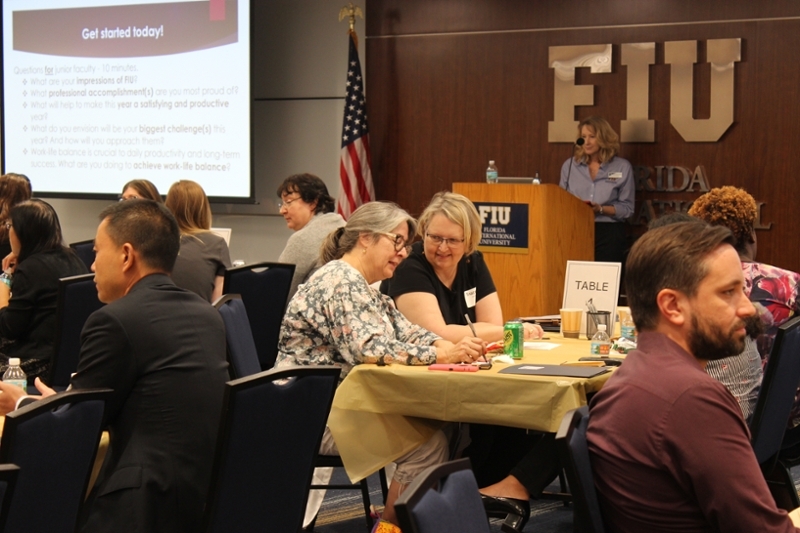 In 2012-2013, the College of Arts, Sciences & Education (CASE) at Florida International University (FIU) announced that for its college-wide, formal faculty mentor program, the program joined by the College of Engineering and Computing (CEC). In 2013-14, it was joined by the Robert Stempel College of Public Health & Social Work, followed later by College of Engineering & Computing. Currently the Colleges of Arts, Sciences & Education, Engineering & Computing, and the Robert Stempel College of Public Health & Social Work are participating, as well as the Office of Research and Economic Development, who partners to bring in new speakers. For student mentoring, please click here.